Kathleen L Paul - 1st Priority Mortgage, Inc.
Kathleen offers her customers 43 years of lending experience, with specialization in residential mortgages. In the ever-changing and often confusing home mortgage field, she is determined to help each client select a financing arrangement that best matches their individual circumstances. Kathleen takes pride in first creating a personal connection with each client, and then providing them with service excellence. Kathleen’s greatest satisfaction comes from the contribution she has made to helping each customer achieve their home purchase goal. A real measure of Kathleen’s success is the frequent repeat business she receives from satisfied customers who seek her out when it’s time to refinance, or move on to their next home purchase. Kathleen treasures the opportunity to be a personal part of a customer’s continuing home ownership journey. Kathleen is dependable and a real people person. 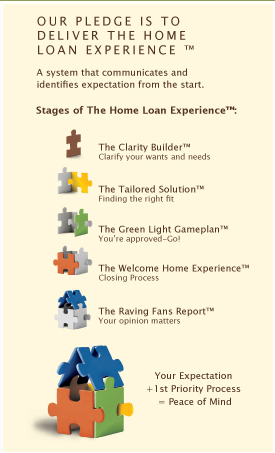 Her attention to details, caring interpersonal skills, and ready accessibility make the mortgage process a pleasant and positive element of the home ownership experience. Kathleen has been recognized as the #1 Mortgage Consultant for 1st Priority Mortgage for the past 7 years (2008-2014).